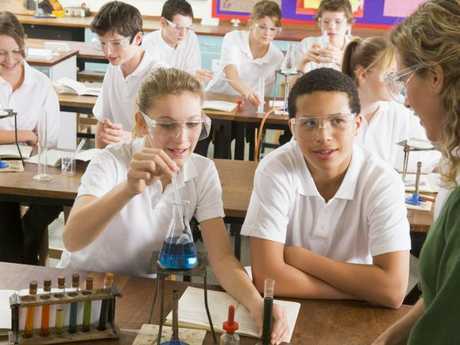 Ministers acknowledge students need to learn appropriate use of technology. BANNING students' access to mobile phones during class received broad agreement at a meeting of the nation's education ministers yesterday. 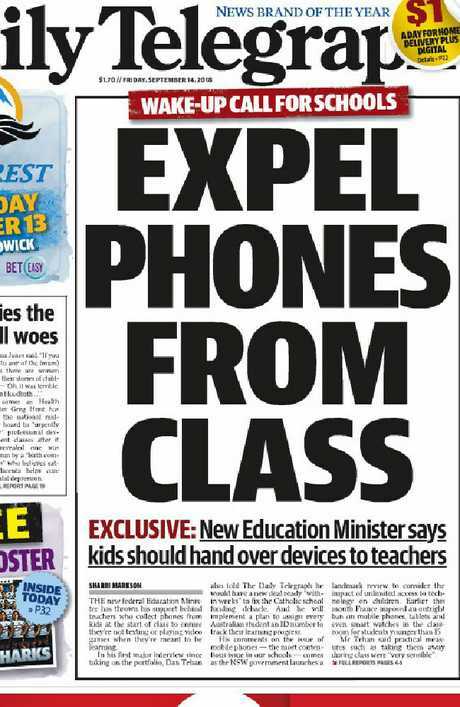 Federal Minister Dan Tehan put a move to give school principals the power to collect phones at the start of class, to ensure children are not texting­ or playing video games instead of focusing on lessons, on the national agenda at the Education Council meeting in Adelaide. Education ministers are keen to ensure students are focused on learning and not texting or playing games on their phone instead. The NSW government agreed to bring a series of recommendations to the next meeting. 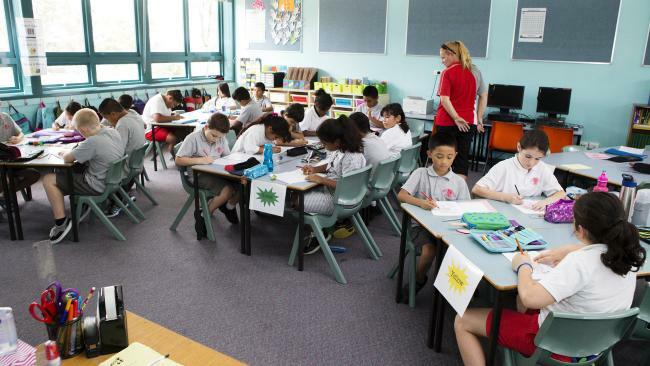 "It was agreed NSW would bring forward work they are doing to the next council meeting in December and the proposal to give principals and teachers the ability to control mobile phone use in mobile schools was very strongly endorsed by Queensland," Mr Tehan said. "There was general support for this to come forward. "Social media use was one of the things that I referred to specifically with regards to cyber bullying and how we needed to protect our children both in and out of the schoolyard from cyber bullying." How The Daily Telegraph has reported the issue. NSW Education Minister Rob Stokes has put the issue of mobile phones distracting students from learning firmly on the agenda, launching a review by educator Dr Michael Carr-Gregg. From Monday, those on the frontline with experience of the issue - including principals, teachers and parents - can make a submission with suggestions on how the contentious issue should be dealt with. 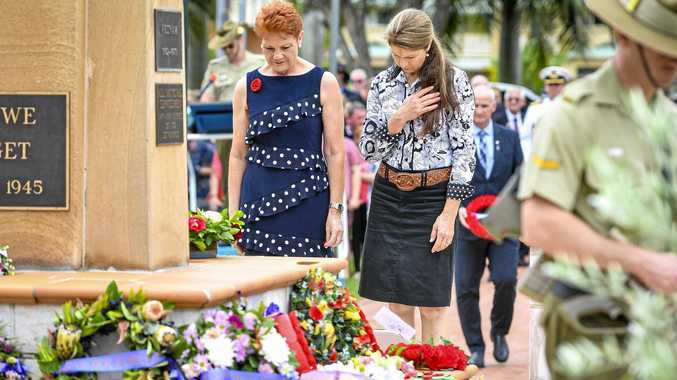 "It was great to see the federal government recognise the importance of this issue and the need to provide guidance to parents, all of whom didn't grow up with mobile phones so don't have life experience to draw on in terms of helping their own kids," Mr Stokes said. "We know that students are growing up in a digital environment so the appropriate use of mobile phones is a necessary skill and we need to help young people know how to use them appropriately and responsibly."